Rainbow Chard & Feta Orzo Bowls are one of our favorite weeknight dinners! Under 10 ingredients pack a punch of color and flavor. As a kid, I was obsessed with everything rainbow – my Rainbow Brite doll, a fresh new Crayola 64 pack (with built in sharpener! ), and best of all – the rainbow-neon terminal at O’hare airport. Pure magic. I couldn’t get enough, which is probably why I get a little too excited whenever I see rainbow chard pop up at the farmers market. I’m not much of a gardener (black thumb over here), so it’s mesmerizing to me that those bright pink, red, and neon yellow rainbow chard stems actually grow from the ground. What I love to do is chop up the rainbow chard stems and to sauté them in the pan for about 30 seconds before adding the leafy greens. They add such a great crunch to your dish – don’t ever toss them. (If you have extra stems, you can always pickle them for later). These bowls are simple and warm, and they are all about the rainbow chard. I made some whole wheat orzo and tossed it with a little olive oil, garlic, Dijon, and lemon. (Mustard and chard are a really terrific flavor match). I topped each bowl with a healthy serving of rainbow chard, a little feta cheese, and some toasted walnuts. Quick beauty tip: you’ll want to serve these bowls with the ingredients assembled rather than tossed together. (As the colors run together it’s just not the prettiest!). 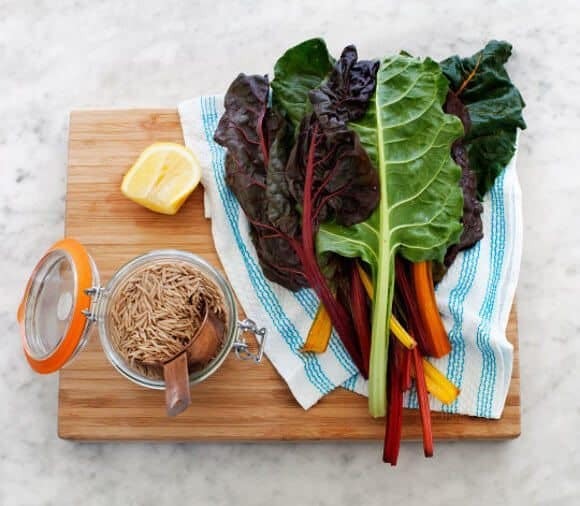 These rainbow chard bowls are perfect for a light & healthy weeknight dinner. They come together in under 30 minutes! 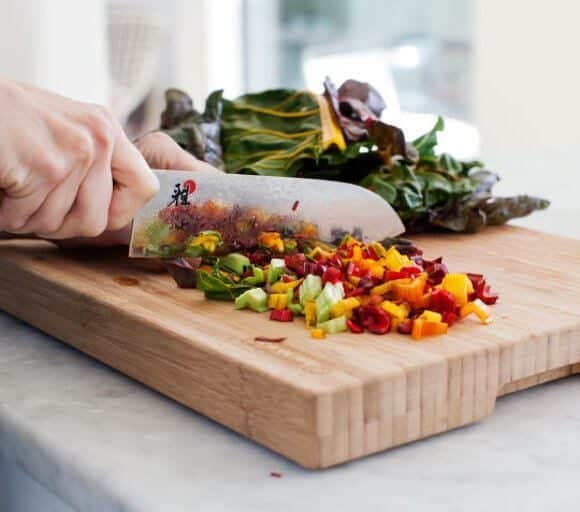 Prep your chard by slicing off the coarse parts of the stems and dicing them. Coarsely chop the greens and set aside. Cook orzo in a pot of salted boiling water according to package directions (or about 9 minutes). In a medium bowl add 1 tablespoon olive oil, minced garlic, dijon mustard, lemon, salt and pepper. Once your orzo is done cooking, drain it and then add it to this bowl and toss. (the heat of the pasta will gently cook the raw garlic). Taste, adjust seasonings and set aside. In a medium skillet, heat a few teaspoons of olive oil, then add the chard stems, salt and pepper. Next, add the chard leaves and toss until just wilted (less than 2 minutes). Finish with a squeeze of lemon and remove from heat. Assemble bowls with orzo, chard, feta and toasted walnuts. make this vegan by skipping the cheese. I haven’t worked much with rainbow chard, but this just looks so pretty, so I need to! This looks delicious!!! I love rainbow chard and I love how quickly I can cook up this bowl. This looks and sounds delicious…and so quick too. Can’t wait to try! Rainbow Chard is certainly the Adriana Lima of the vegetable world and it makes for a pretty darn good looking salad. Asante sana for the beauty tip. 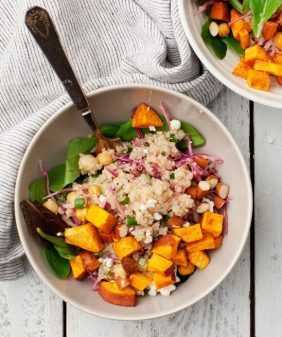 Love the colors this recipe offers! Sounds like the lemon & feta bring a nice tanginess to the dish – can’t wait to try it! Looks so delicious and fresh! I love orzo, there is a store here that sells this amazing orzo salad with spinach, bocconcini and sundried tomatoes.. I could eat a tub of it. 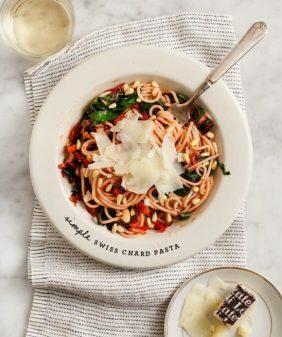 I love the simplicity of this recipe and how the chard totally shines. Especially with that mustard, danggg, I need to try this! This bowl is gorgeous! Love rainbow coloured veggies too! I totally eat with my eyes. I adore chard, it’s an overlooked green! Great recipe idea. I haven’t tried chard since becoming an adult. I had a semi-traumatic chard experience as a kid and I never really recovered. Yep, you could definitely sub in quinoa or brown rice pasta. Ha, after you start eating it and mixing it around, it gets a little ugly. Hi Dawn, My husband has a gluten intolerance too. Tonight we made this with wild rice since I had some on hand. We loved it! Thanks for the recipe Jeanine! It was delicious. I will definitely be making it again. I loved Rainbow Brite, too! This recipe looks great, though. I adore orzo and find it so under-used! Thanks! Rainbow chard is the best, one of nature’s shining stars, xo!! If healthy food looks as beautiful as this, then it’s always a bit easier to pass on the alternative juicy burger. 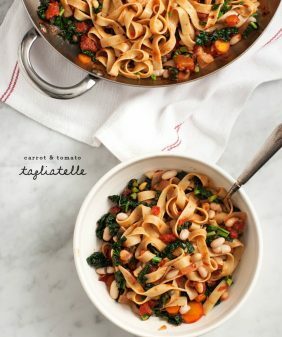 I can’t wait to try this in the summer when I’ve finally let go of my warming soup bowl!! is that I have a strong aversion to mustard. Would you be able to recommend anything I could substitute? Thank you! Ooohh, this is so pretty! And the feta makes it all the more enticing! this looks delicious and beautiful!! yum! We had this for dinner, and it lives up the hype! Huge fan of rainbow chard now. if I could give this recipe 10 stars I would!!! just made it and am in love!!! I made this for me and my vegetarian 11 year old. It was a huge hit! I should have cooked the stems just a little longer, though, for her taste. We receive chard in our CSA often. I have a feeling this recipe will easily become a favorite. Thanks for sharing it! Hi Amy – I’m so glad it was a hit! This was SCRUMPSH!! I just got this colorful chard at the farmers market, but wasn’t sure what to do with it. This recipe came up when I searched, and boy is it a keeper! The stems add a wonderful crunch! 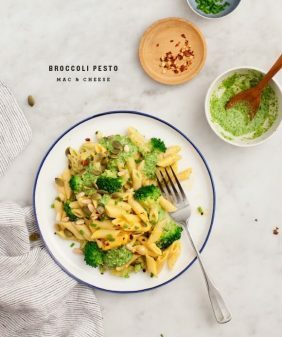 Easy and sooooo good, all my faves, nuts, cheese, sautéed greens and pasta. I added a bit of shallot when cooking the greens..my husband (big meat makes the meal guy) also thought it was fantastic. I love lemons too, everything just gets brighter! Hi Jules – I’m so glad you both loved it! I made this as part of dinner last night–as a side dish, rather than individual bowls–and LOVED it. I used red quinoa, cashews instead of walnuts, and a larger amount of chard because I happened to have a huge bunch. It was delicious. 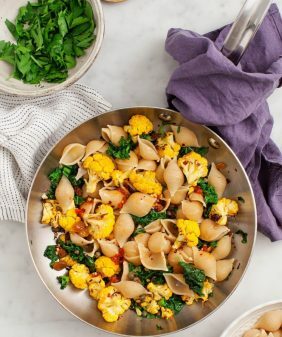 Even my husband, who isn’t always the biggest fan of vegetables, loved it–and he said his favorite part was the chard (not the cheese or nuts, amazingly). 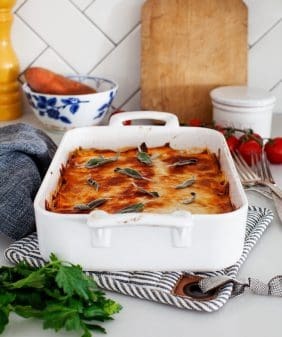 Kudos for a great recipe with an oft-overlooked veggie! I’m so happy to hear that you both loved it – thanks for commenting! I’m eating this as we speak and woooow! I love it! I love rainbow chard but get stuck on ideas to use it, I was excited when I found this! It’s a bowl of my favourite things! The Dijon mustard is perfect with the chard! Thanks so much. oh yay, I’m so glad you’re loving it! Thanks for letting me know!